Systems that use external microprocessors can optimise speed and accuracy, says Allegro, with the ACS70310 linear current sensor IC. The Hall effect current sensor IC delivers Allegro’s highest speed and accuracy in above 400A sensing applications to date. 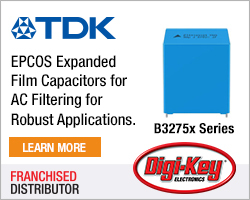 It can be used in hybrid and electric vehicle inverter applications that need high accuracy sensing to 1,000A. The ACS70310 is robust and has diagnostic functions that can help improve functional safety and reliability. It achieves ±1.2 per cent sensitivity and ±5mV of offset error over the automotive temperature range of -40 to +150 degrees C. Short circuit and over-current detection delivers an analogue output voltage proportional to the applied magnetic field, explains Allegro. Providing improved safety, the output of the ACS70310 has a response time of two micro seconds and a typical operating bandwidth of 240kHz. This current sensor IC is robust, enhanced by the on-board supply regulator which enables the supply pin to survive voltages of ±18V to protect against reverse battery connection. 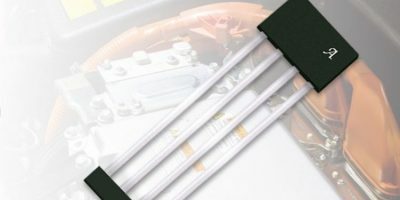 The output pin can survive voltages of +16 to -6V to protect against harsh automotive voltage transients. Several parameters, including sensitivity and offset after assembly, are field programmable. 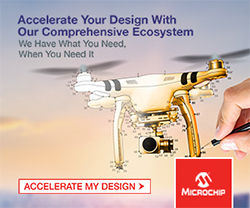 Customers can also order Allegro-programmed devices and conduct fast and efficient software calibration of both sensitivity and offset using their system microcontroller. 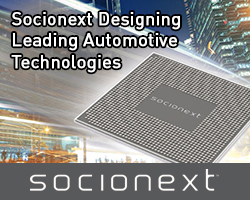 The ACS70310 sensor IC incorporates a sensitive Hall element with a BiCMOS interface IC that employs a low noise, small-signal high-gain amplifier, as well as a low-impedance output stage, and a proprietary, high bandwidth dynamic offset cancellation technique. The IC is provided in a thin (1mm thick), four-pin single in-line package (SiP) that is lead (Pb) free, with 100 per cent matt-tin lead frame plating.